It says it is a picture of mosque under southeast of the Temple Mount. This appears to be part of the Marwani Mosque. 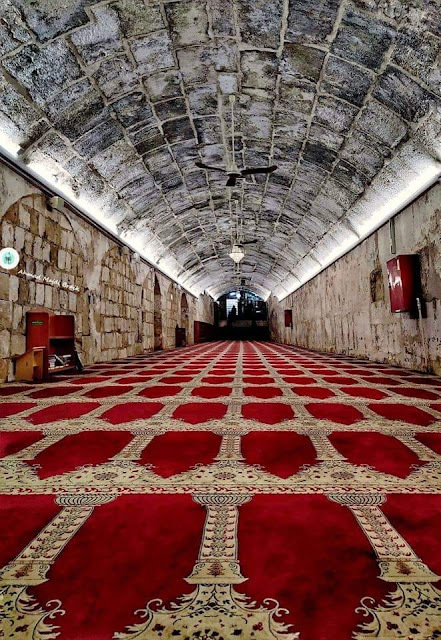 It is clear that the tunnel under the Mount was ancient, but the contents were scooped out in the 1990s by bulldozers, eradicating hundreds of tons of priceless archaeological data that showed a Jewish presence on the Mount that pre-dates Islam by over a thousand years. The mountains of dirt and debris are still being sifted through to save whatever can be after this crime, the biggest crime against archaeology in history.